I asked myself these questions when I had an opportunity to represent India and Dell at the 8th Session of United Nations’ (UN) Conference of State Parties (COSP-8) in New York City, June 9-11, 2015. This is an annual UN conference where representatives from governments, corporations, and persons with disabilities come together to review the progress made towards the Convention of the Rights of Persons with Disabilities, (CRPD) and the way forward for the disability movement. I believe my learnings from the event could benefit all at Dell and beyond, and this post is the first in a series that will discuss key highlights from my UN visit. 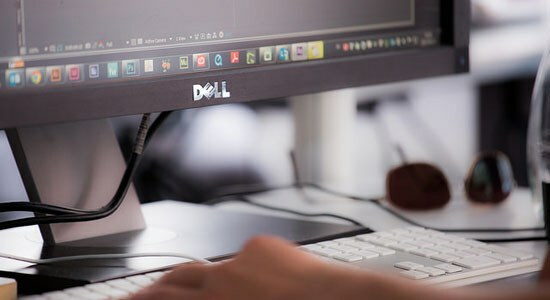 To start, let’s consider why Dell, as a technology company, should consider the needs of persons with disabilities when designing and developing Dell products and services. Overall, I believe this focus should be on ensuring Dell’s existing products and services are designed in a manner that is accessible and usable, rather than creating separate niche products for persons with disabilities. Too big to be ignored: According to World Health Organization (WHO) and UN, there are an estimated 1 billion people on this planet with some form of disability. That’s a phenomenal number. This literally translates into every seventh person on Earth being disabled in some way. A strong business case: According to Gartner, people with disabilities are an underserved market segment with one billion people worldwide. They, and their immediate friends and family, have an annual disposable income of more than $8 trillion. The great thing about this market is that, in most cases, it doesn’t require separate products to be developed. What it requires is conscientious thought when designing and developing those products and services. Additionally, case studies show that accessible websites have better search results, reduced maintenance costs, and increased audience reach, among other benefits. The public procurement would dramatically change: One of the breakout sessions at the COSP-8 extensively discussed the implication of the changing the face of public procurement policies for technology products. The discussion centered on how the new proposed changes to section 508 of the (U.S.) Rehabilitation Act of 1973 and other legislation across the European Union, will make it mandatory for federal governments to procure only Information and Communications Technology (ICT) products and services that meet the prescribed accessibility standards. While the proposed amendments are welcome and can potentially make a huge difference to the lives of persons with disabilities, it necessitates technology providers to strongly align to these proposed standards. It is a legal requirement: The UN CRPD recognizes access to ICTs, including the Internet, as a basic human right. Violation to these provisions could potentially land a service provider in a court of law in more than 150 countries that have ratified the CRPD. There are also provisions in the legislation of various countries that have specific requirements to make web services accessible to persons with disabilities. The countries include The U.S. and UK among others. This argument is not only about making technology inclusive and accessible for persons with disabilities for the sake of huge business potential, or because it’s required by law, but because it’s the right thing to do. Creating inclusive and accessible technology can help disabled persons provide opportunities to enjoy full and equal participation in social, economic and cultural activities. And it can help us live up to the true spirit of being human. Do you think making accessible and inclusive products is the right thing to do? Let’s continue this conversation. And be on the lookout for more posts in the future. Totally agree, this is THIS IS THE RIGHT THING TO DO !